Django is the name of Sergio Corbucci's groundbreaking 1966 movie about a mysterious black-clad hero who walks into a border town, trailing a coffin behind him. In his coffin he hides his special weapon, a machine gun. 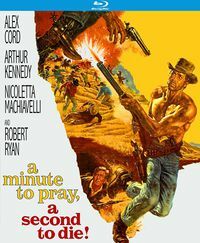 The title character is played by Franco Nero, who became a mega-star in all four corners of the world as Django, the avenging angel. Even today, more than 45 years later, he is recognized wherever he goes as Django, the man in black. Django is everywhere this year. 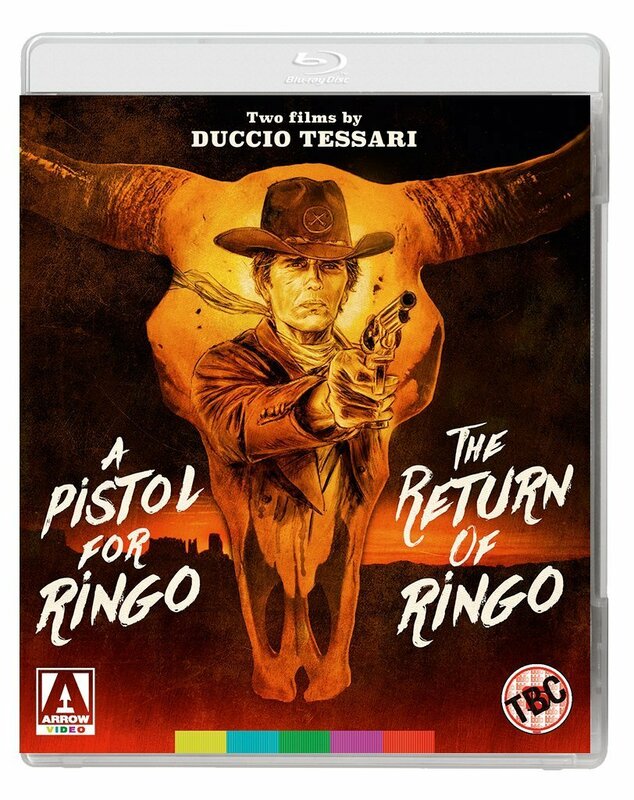 With Quentin Tarantino's Django Unchained, which pays homage to Sergio Corbucci's Django and includes an interesting cameo appearance by Franco Nero himself, thousands across the globe are rediscovering the classic. We take a closer look at the film, its background, the people involved in the making of it, etc. Of course we also pay attention to DVDs, BluRays and soundtracks releases of the film. Enjoy! Title chaos: Due to the success of Django in Europe, many other unrelated films were retitled to ride on its success. 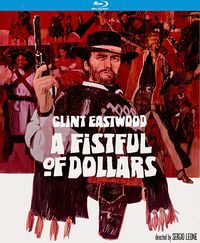 Find a list of Django-titled spaghetti westerns at Title chaos. 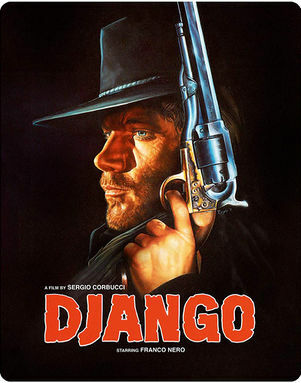 2013 is the year of Django! On January the 5th 2013, Quentin Tarantino received a special award at a ceremony at the Rome Film Festival. The award was handed to him by none other than Ennio Morricone. Franco Nero, who played Sergio Corbucci's original Django, was in attendance. He also has a cameo appearance in Quentin Tarantino's 2012 homage epic Django Unchained which was released theatrically worldwide in mid-January of this year. DVD and BluRay companies around the globe are already trying to jump on the Django train - and that's a good thing. 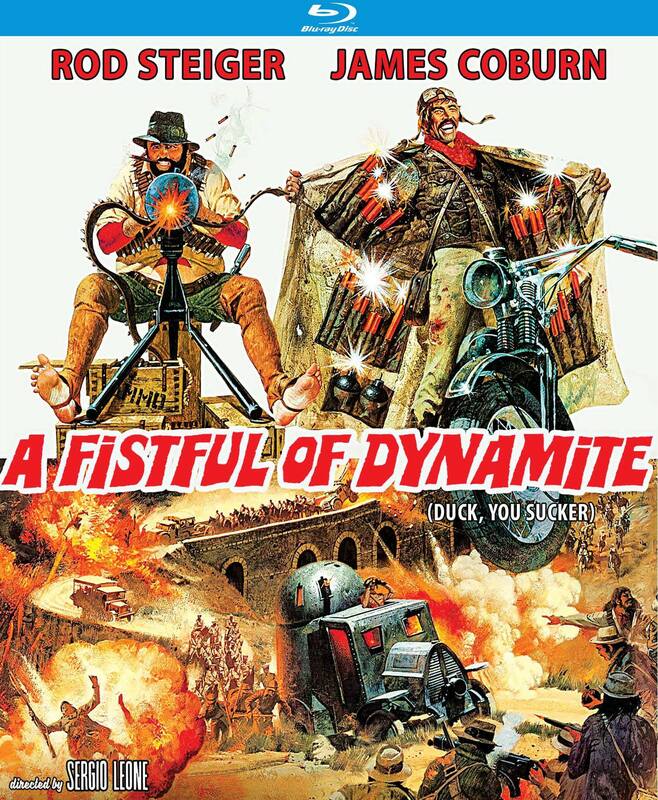 Again, Tarantino helps the spaghetti western world with an attention push. 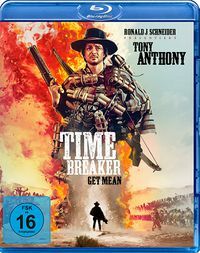 Koch Media for example is releasing the Western Unchained collection, a selection of films from his favorites list (which is an SWDB exclusive) and the films he screened at the Venice Film festival. Two of them get the BluRay treatment. Tarantino's movie will attract some much overdue attention and introduce these classics to new generations of audiences. 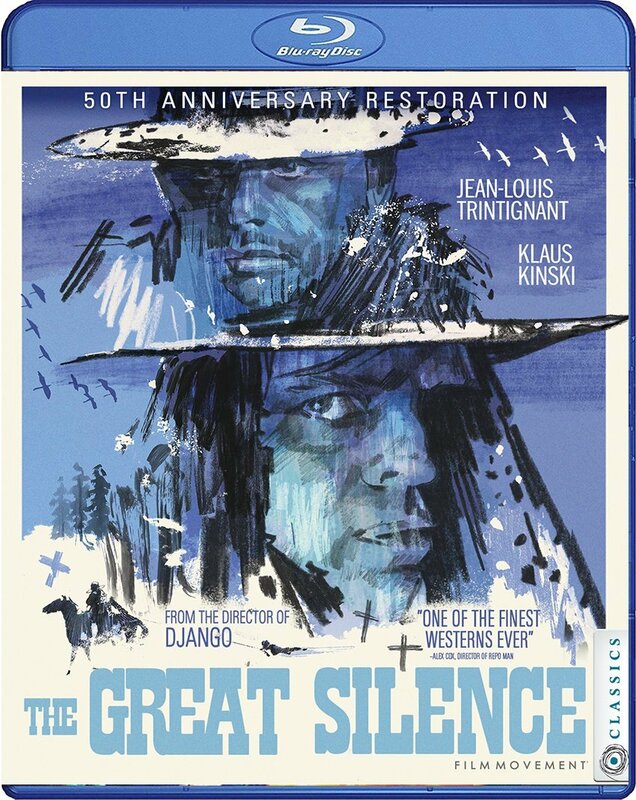 It is good to see that the original Django is shown in theaters again in the US, that it will get a BluRay in the UK, and will be re-released on DVD in various countries such as France, Germany and Belgium. 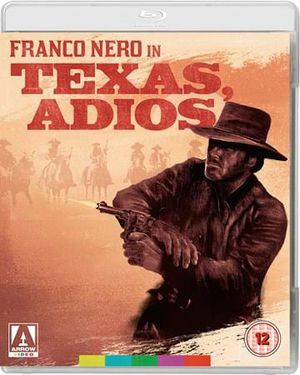 Many other spaghetti westerns will also benefit from the rekindled love for the genre. This page was last modified on 22 March 2013, at 16:08.